A very delicately designed modern pattern of beautifully crafted 22kt light weight gold mangalsutra. 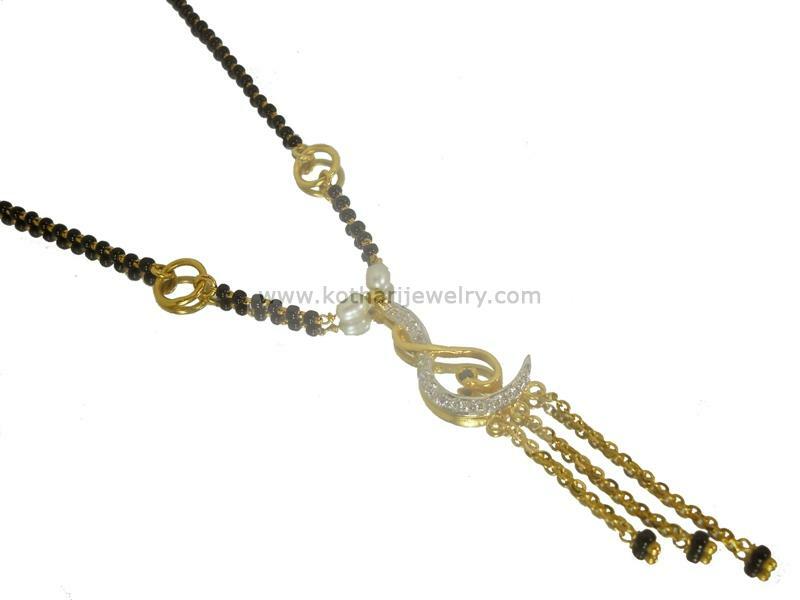 The mangalsutra consits of a studded pendant with dangling chains in between 2 pearls. This trendy pattern of gold mangalsutra is suitable for party wear.